Daisy Consortium President Hiroshi Kawamura (left), on courtesy call to NCDA last November 18, 2011, raised the use of DAISY (Digital Access Information System) as a communications tool for inclusive disaster management, where PWDs are not just seen as victims, but as active part of the operations, as shown in the recent disasters in Japan. 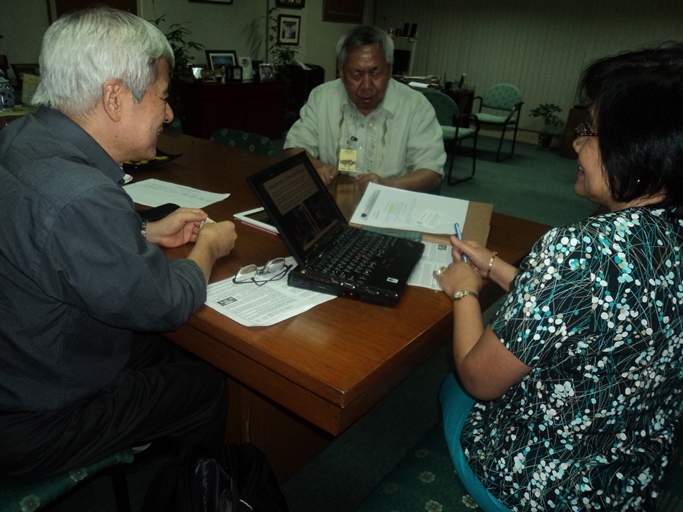 DSWD USec and concurrent NCDA Officer-in-Charge/Executive Director Alicia R. Bala (right) welcomed the concept and urged Mr. Kawamura to formalize submission of proposal to DSWD which has the appropriate machinery, for future presentation to concerned personnel. Mr. Lauro Purcil, (middle) President of the Philippine DAISY Network (PDN), said PDN will be on call for this crucial and timely initiative.